As a reliable supplier, we offer a large selection of chemicals, biochemicals, volumetric solutions, standards and reagents for use in laboratories with our partners Avantor (J.T. Baker), Chem-Lab, LGC-Standards (Promochem), Biosolve & Honeywell (Riedel-de Haën, Fluka Analytical, TraceSELECT, TraceSELECT Ultra, HYDRANAL, CHROMASOLV) and PanReac AppliChem. From A for acetone to Z for zirconium, our continuously expanding comprehensive product portfolio has everything you need for every budget. Our competent team places great importance on providing personal support, including professional advice on the procurement, use and storage of the required laboratory chemicals. We proceed with the utmost care to ensure the highest standards of safety, labelling, logistics and transport. We deliver exactly what you need: customized solutions precisely tailored to your needs. Our products comply with the relevant requirements of the Ph.Eur. (European Pharmacopoeia), ACS (Analytical Control Service) and ISO. 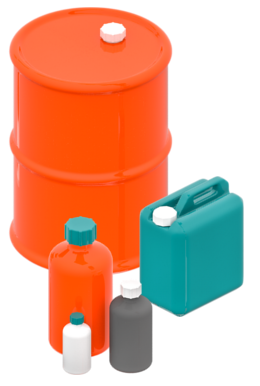 Naturally, we provide detailed specifications for all chemical products (safety data sheets, certificates). Please note that we do not sell chemicals to private individuals, only to industrial users. Click here for further informations. We have been operating one of Austria’s largest warehouses for laboratory chemicals since 2008 in Hart bei Graz. You can’t find the desired chemical in our range? No problem! As a chemicals specialist in Austria, we can get you what you need. Do you have any questions about chemicals, biochemicals or reagents? We are also your professional point of contact for all your laboratory supplies.